Sarah Jackson’s dream is now a reality. 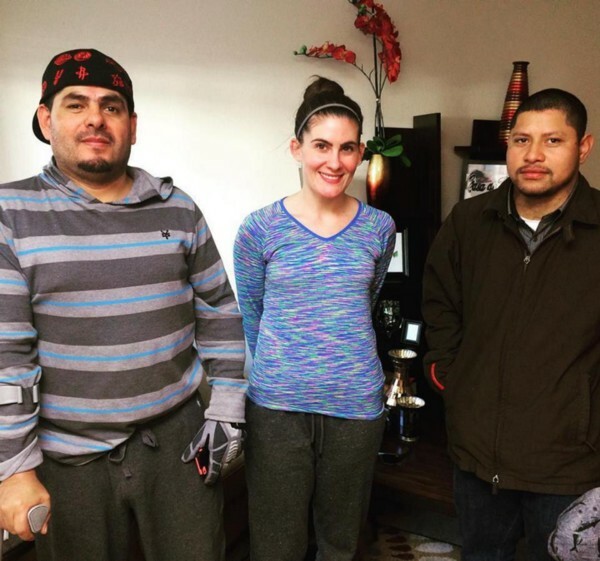 Founded by Sarah in 2012, Casa de Paz is a five-bedroom home in Aurora, Colorado providing overnight accommodations and food to immigrants recently released from detention and their families. 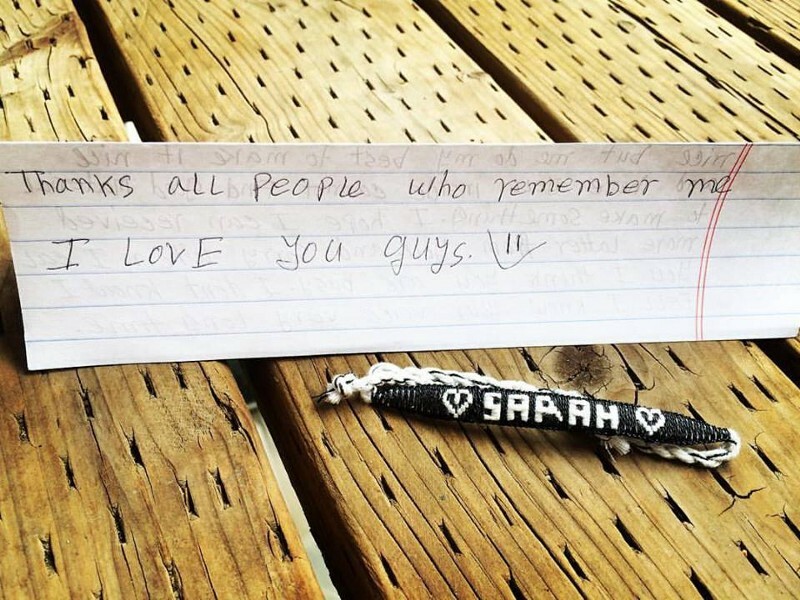 In just five years, Sarah has hosted over a thousand guests at Casa de Paz. Below, Sarah shares her extraordinary story with CIVIC volunteer Cindy Knoebel. Cindy Knoebel: So tell me: what exactly happened during your visit to Agua Prieta in 2010? Sarah Jackson: I met a man — his name was Abel — who was living in a shelter. He’d been brought to the US as a child, grew up here, graduated from high school, fell in love and got married, had a family and a good job. The American dream, right? Then one day, he was picking his kids up from school, driving very slowly and carefully through the school zone so as not to attract attention. The problem was, he was driving so slowly he ended up getting pulled over. Long story short, he was arrested and deported. He told me he’d already tried four or five times to cross back into the US, but with no success. He has a child here he’s never seen, because his wife was pregnant when he got deported. I didn’t know much about immigrants when I got here — but I knew in my stomach this was wrong. I think about Abel every week. With every cell in my body, I believe you should be able to live with your family whoever and wherever you are. When it comes down to it, I don’t believe in borders — particularly when it comes to families. CK: How did this trip lead you to open Casa de Paz? SJ: I knew when I got back from Mexico I wanted to change my life — but I didn’t know how. After a year of thinking about it, I finally decided to just up and move to Aurora, literally five minutes away from the Denver Contract Detention Facility. Then, one day, while I was attending a prayer vigil there, I heard about El Refugio in Georgia. It provides housing and hospitality to the friends and family of the men detained at the Stewart Detention Center. And I thought: I can do that! First, because it’s all about family — and to me, family takes precedence over everything. And second, I felt … well, it just sounded so easy! CK: How did you get Casa de Paz up and running? SJ: I really wanted a house, but the rents were too high. Then I remembered seeing an apartment complex right across the street from the facility. I applied for a one-bedroom apartment, certain that once I told the leasing agent what I planned to do, she’d turn me down flat. I was shocked when she said yes; she even asked what she could do to help! I’ll never forget the first family that showed up: a mom with four kids. A guard at the detention center had sent them to me. The mother told me that since her husband had been detained, they’d been evicted from their home and were living in an abandoned house with no water or electricity. They had to search the cushions of the couch for change to buy gas for their car to get here. I gave the kids soup for dinner, and they were excited because it was actually hot. When they left, they acted as though they were leaving a five-star hotel. She wrote me a thank you note; I still have it. It means everything to me. CK: You’ve come a long way since that one-bedroom apartment, haven’t you? SJ: Yes! Today, Casa de Paz is a five-bedroom rental house located about halfway between the detention center and the airport, which is perfect as most of those released from detention end up flying back to their families. I live there, of course, plus we have one bedroom for families, another for women, a separate one for men and a fifth bedroom for Oliver, who’s joined our team as a full-time Casa host. Over the years, I figure I’ve hosted over 1,000 guests. Plus, we have 276 volunteers who’ve been trained for our visitation program at the Denver facility. CK: Take us on a little tour of Casa de Paz … what can guests expect when they arrive? SJ: When you come through the door, you’ll be in the living room that’s got shelves of books you can read or take with you. Then, on the bed in your bedroom, you’ll find a welcome gift: a backpack, which is especially helpful for those coming right out of detention, because most of the time they only have a plastic bag for their stuff. We also provide a towel and washcloth and a bag of toiletries. 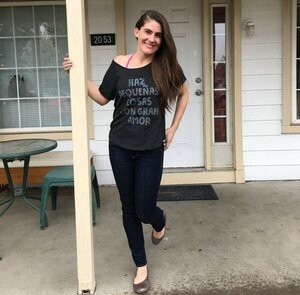 There’s also a handwritten note from a volunteer welcoming you to the Casa — plus a Casa de Paz t-shirt. Then there’s the kitchen. As a guest, you’re welcome to use anything here. If you’re hungry, just help yourself. After all, mi casa, su casa,right? Downstairs is another living room area with a computer and phone, and a laundry room, plus Oliver’s room and the men’s bedroom. We have a three-night maximum stay, but sometimes guests are here for just a few hours on their way to and from the detention center or airport. CK: You’ve talked to many who’ve been held at the Denver Contract Detention Facility. What have you learned about their experiences there? SJ: Mostly they feel bored, lonely and hopeless. They’re fearful about their future, about not knowing what’s going to happen next. I hear stories about them being freezing cold, but not being able to get extra blankets from the guards. They find pieces of metal or mold in their food. And told to “walk it off” if they’re not feeling good. But when they’re released and arrive here? They are so positive and appreciative! Guests often try to give me money — and of course I decline. But sometimes, after a guest has left, I’ll find a ten or twenty dollar bill they’ve tucked away somewhere for me to find later. Or they’ll leave small gifts, maybe something they’ve made themselves. I have a whole bookshelf filled with gifts I’ve received from guests. And literally hundreds of thank-you notes. CK: What’s your long-term dream for Casa de Paz? SJ: I want to purchase — not rent — a house. I want that to be my legacy: a fully paid-for home whose purpose is to welcome immigrants. I’m saving every cent I can. It’s going to take years, I know, but I’m getting a little closer every day.